Our Week Riding Holidays are the ultimate adventure and showcase everything Wilder Ways. They truly do get you deep into the wilds and completely lost in your own thoughts and all things horse. These are not for the faint hearted though as they require a reasonable level of fitness – you will be in the saddle ~6 hours each day! They are a great way to explore and get some real insight into an area and to enjoy feeling like a true horseman for the week. These trips are available to Intermediate and Advanced riders only. You must be comfortable at canter and you will be required to navigate a number of obstacles and a few small jumps (i.e. ditches or fallen logs). If you do not have a lot of experience with obstacles or jumps, don’t worry, we will support you over these. And if you are very experienced, don’t worry, we’ll find plenty of challenge to keep you on your toes and make your heart race! 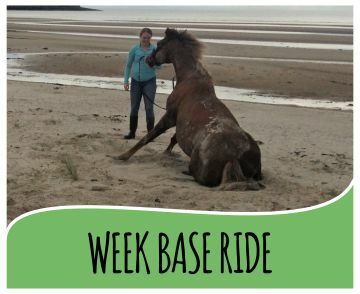 We run two types of Week Riding Holidays, Point to Point (P2P) riding (i.e. a continuous journey from one point to another) and Base riding (i.e. riding out and back from the same starting point each day). The price for our Riding Holidays start from £1,395. ​Base riding offers more relaxation and comfort as you will come back to the same accommodation each night, and your holiday will include a rest day in the middle. The advantage of base rides is that we are able to tweak or tailor the riding routes according to weather and how the group are feeling. However, they are still action packed adventures which offer diverse and exciting riding. ​The P2P rides are more challenging as you have to get from point A-B each day, regardless of the weather or how long it takes you. You will be in different accommodation each night and there will be a good dollop of mud and sweat between moments of luxury and indulgence. However, with all the laughter, stunning views and fantastic riding, we are sure you will love this truly authentic adventure…after all we are not called Wilder Ways for nothing! Whichever type of holiday you choose, we do expect you to care for and prepare your horse each day. This will include feeding, grooming and tacking up. We believe this is an important part of the experience as it’s a great way to bond with your horse and really get you into the spirit of this immersive adventure. Don’t worry if you don’t have a lot of experience in this area, we will support you with this at all times. 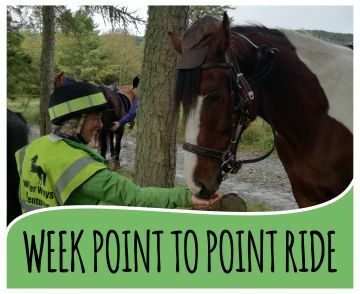 Our Week Riding Holidays run on specified dates between April and October (see our Week Riding Holidays Diaries) across all of our pop-up locations. If the specified dates do not suit you please contact us and we may be able to offer you a similar itinerary as an Adventure to Order. What is in included in our Week Riding Holidays differs slightly depending on whether it is a Base or P2P ride so please check the details and price for each. Price may vary according to location and your specific requirements. Please view full Terms prior to booking.